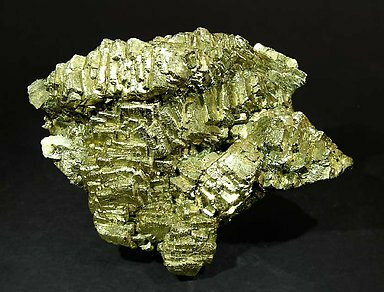 All the pseudo minerals I have seen seem rather mat to me, and when one is dealing with limonite they tend to have an earthy look. So this one stands out for the surprising brilliance and its achitecture, which is very fine. 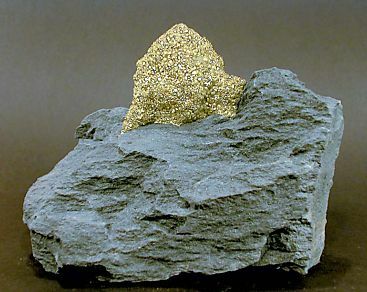 The sample, a floater, is a fossil sponge covered by crystals of Pyrite with very well defined and bright dominant octahedral faces and smaller cube faces. Very unusual, both for its composition and for the locality. 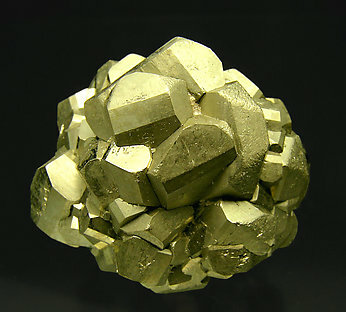 Complex Pyrite crystal, very rich in faces, with a dominant octahedron, very bright and on matrix. A rarity at Milpillas, very interesting from a morphological point of view. 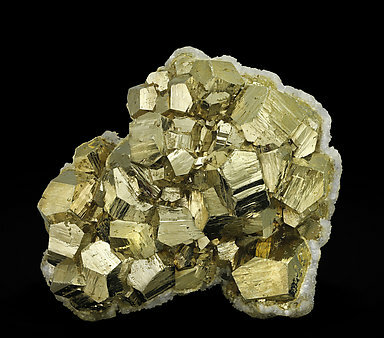 Aggregate of extraordinarily bright cubic Pyrite crystals with finely striated surfaces beveled by pyritohedron faces. 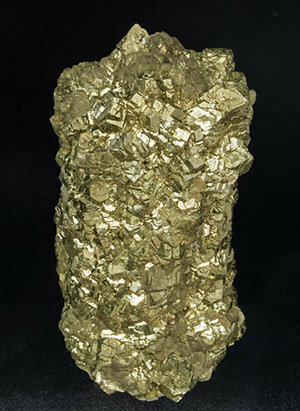 Yes, just a Huanzala Pyrite, but… what a great quality! 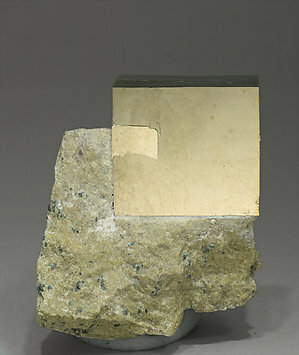 Single Pyrite crystal on a matrix partially coated by white aggregates of an unknown phyllosilicate. 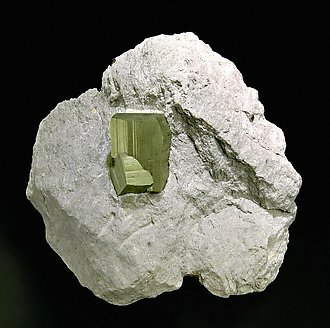 The crystal, a perfect cube, is very bright, free of damage and solidly attached in the matrix so it didn’t need to be reinforced. A Spanish classic, of great quality for the locality. The strangest specimen that I have ever seen from Ambasaguas. A strange ball that is made up of thousands of small crystals. 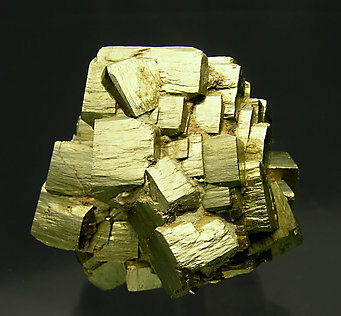 The matrix is very solid and the dark color means that it contrasts well with the yellow Pyrite. 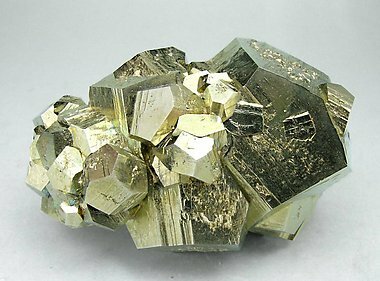 Pentagonododecahedral (pyritohedral) crystals of Pyrite, one of them clearly dominant, with brilliant and sharp faces and edges. Noting the discovery year and the excellent preservation we believe that they will not be altered in the future. 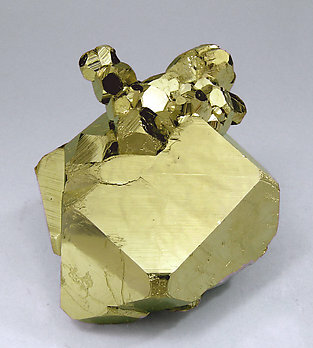 Cubic crystals modified by pentagonododecahedral (pyritohedral) faces. Noting the discovery year and the excellent preservation we believe that they will not be altered in the future. 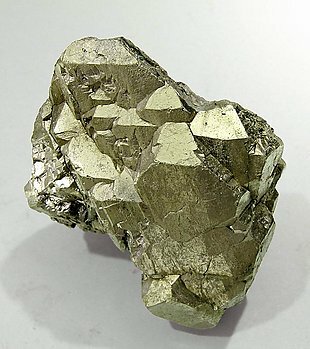 Group formed by pentagonododecahedron (pyritohedral) crystals modified by cube faces, with very sharp and brilliant faces and edges. Noting the discovery year and the excellent preservation we believe that they will not be altered in the future. 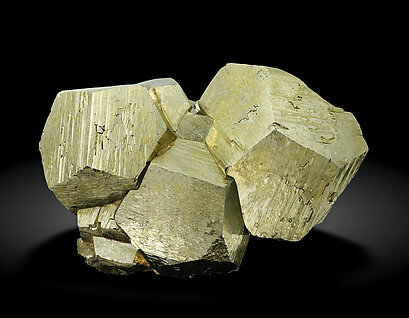 The crystals have one of the more classical combinations of forms from Ambasaguas, the cube and the pyritohedron, the first delicately striated. 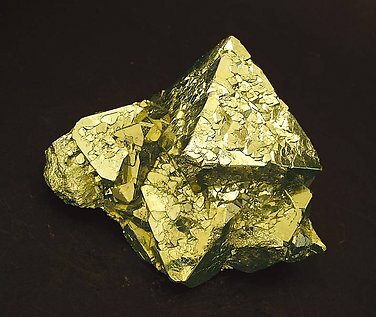 But it is not so common to find them on marly matrix because they are easily detached in mining. 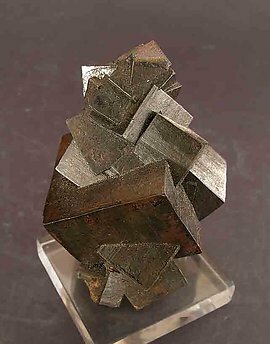 Crystals combine the forms of cube and pyritohedron and form a close group with curious curvatures on the faces and strong striations all along cube faces. 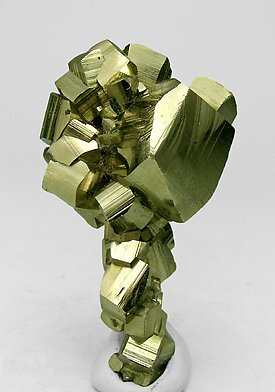 A floater sample of pyritohedral crystals, without any other accessory faces and with very well defined faces and edges. The luster is excellent. 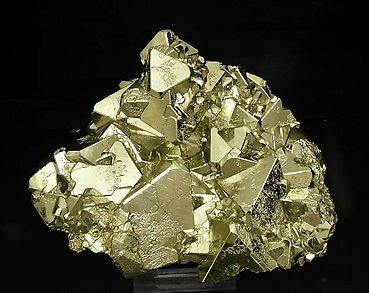 The time that has passed since it was mined seems to confirm that the piece is very stable because Sr. J. Amigó purchased it in 1994 and it remains unaltered. From an American classic locality. 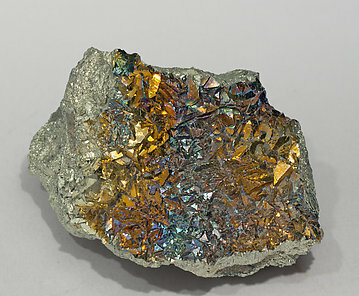 Although originally labeled as Bravoite in reference to the grayish coating on Pyrite crystals, our analysis didn't confirm the existence of Bravoite. 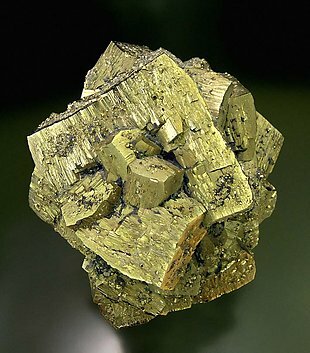 Subsequent consultations also confirm that it is not Bravoite and, even knowing that similar specimens could also contain Molybdenite, this species didn't appear in our analysis. 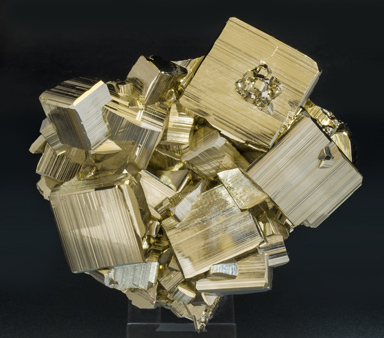 Very aerial floater group of crystals formed by the faces of the cube and the pyritohedron with very well marked longitudinal striations. A novelty at Expominer (Barcelona) 2011. 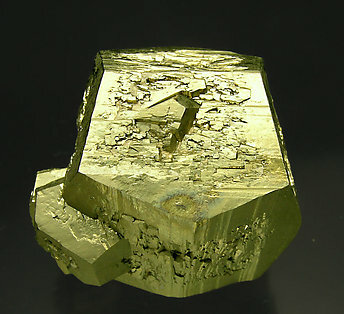 A crystal on matrix with an unusual flattened morphology, which is quite uncommon for Navajún. 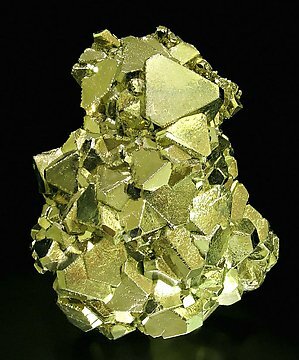 The edges, sharp and perfect, are completely natural and the crystal has been consolidated on its matrix to avoid its possible detachment. 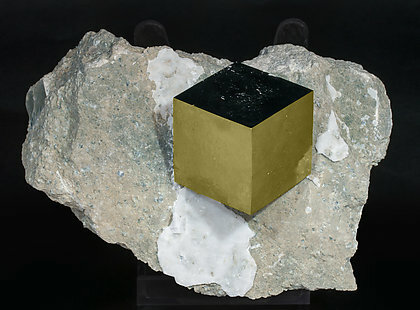 A floater Pyrite consisting of deformed crystals showing the cube and octahedron, one of them dominant. 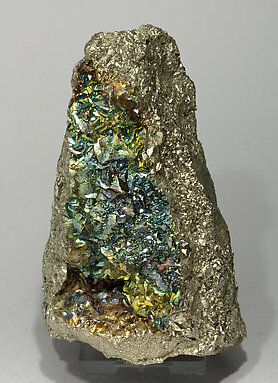 Top side of the specimen shows curious growth forms and a second phase of crystallization, with several striations. 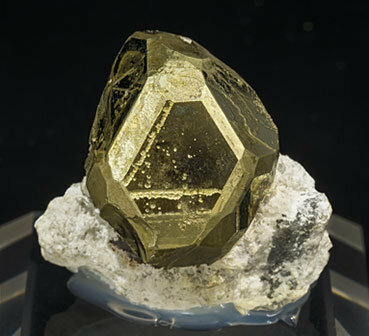 Group of crystals in which the dominant form is the octahedron but also having the faces of the cube, less developed but evident. The faces are bright, defined and undamaged. A magnificent sample. 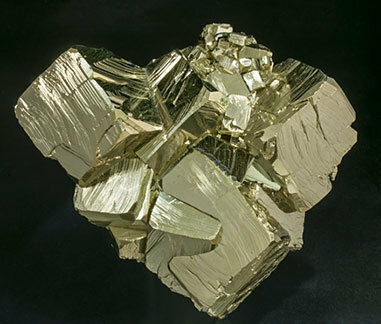 The cubic crystals of Pyrite are piled on top of each other on a single axis, forming very interesting and attractive features. Very different from other ones from this mine.